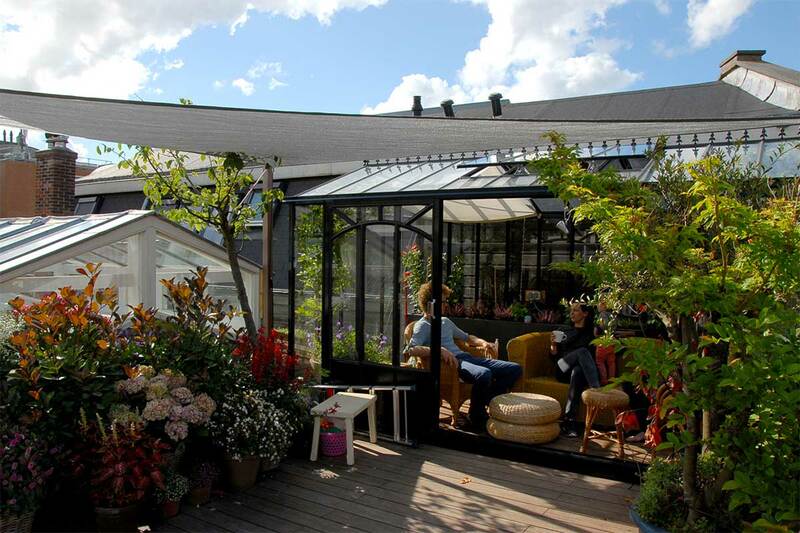 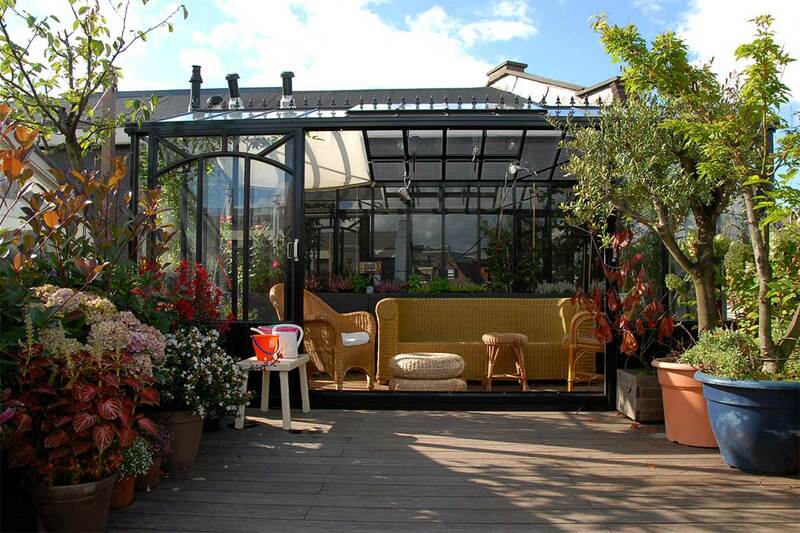 Challenge: To transform an existing, bare terrace, surrounded by bitumen rooftops, into a year round oasis. 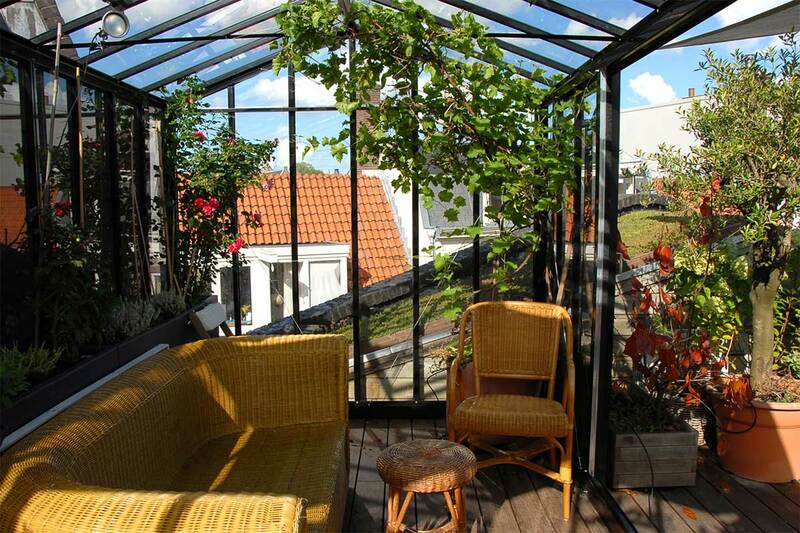 Result: We completely renovated the roof for this terrace. 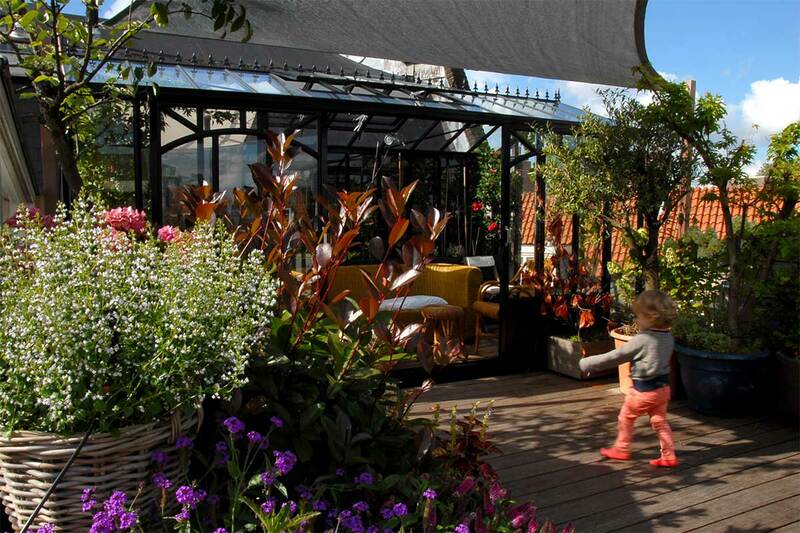 We created a bamboo floor, constructed a greenhouse with planters inside; and a shade sail is stretched across the roof. 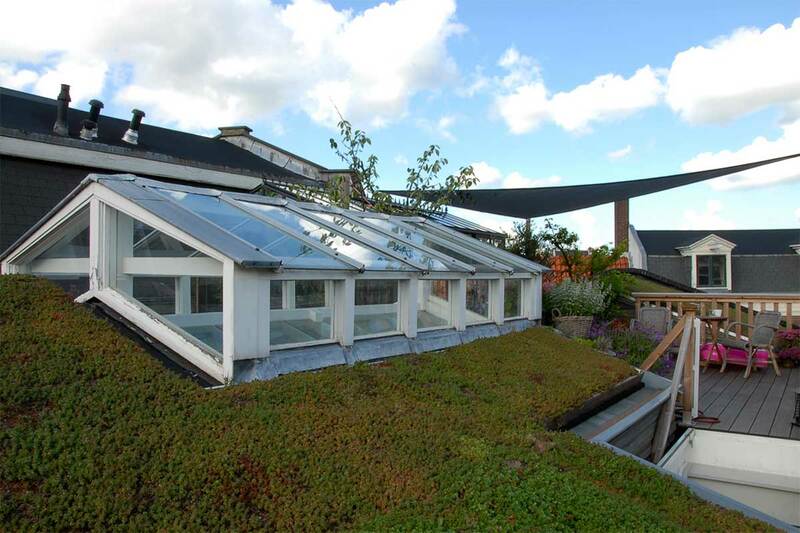 Additionally, we transformed the surrounding sloped roofs into green roofs.